No scoop goes unturned when it comes to Warner Bros' DC Comics adaptation of Suicide Squad as The Wrap gets an exclusive of their own. 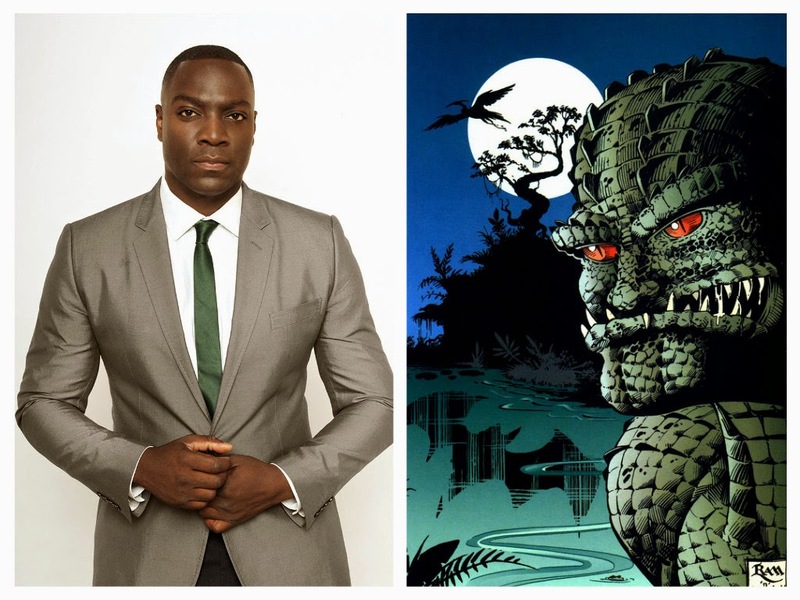 Adewale Akinnuoye-Agbaje (Lost, Thor: The Dark World) has been cast as Waylon Jones aka Killer Croc. Waylon Jones is a former crocodile wrestler turned into a criminal deformed by a birth defect. He has low intelligence but great strength, as well as crocodilian abilities, such as a keen sense of smell and the ability to hold his breath underwater for long periods of time. Akinnuoye-Agbaje joins Will Smith (Deadshot), Margot Robbie (Harley Quinn), Jared Leto (Joker), Joel Kinnaman (Rick Flagg), Jay Hernandez (El Diablo), Jai Courtney (Captain Boomerang), Cara Delevingne (Enchantress), and Viola Davis (Amanda Waller). The star-studded cast continues to grow as Karen Fukuhara is also reported to have been cast but the role is unknown. Speculation online has her playing Plastique, who in the comics was a Firestorm foe with the capability to project explosive force from her body. Adewale Akinnuoye-Agbaje casting DC Comics Killer Croc movie Suicide Squad Warner Bros.
Labels: Adewale Akinnuoye-Agbaje casting DC Comics Killer Croc movie Suicide Squad Warner Bros.